Dr. McCloskey has extensive research experience, serving as primary investigator in a Phase I/II non-randomized study of birinapant in combination with decitabine in patients with relapsed or refractory myelodysplastic syndrome and acute myelogenous leukemia, and was a primary investigator of cellular and molecular characterization of the immune response and minimal residual disease in patients who have completed treatment for acute myeloid leukemia. 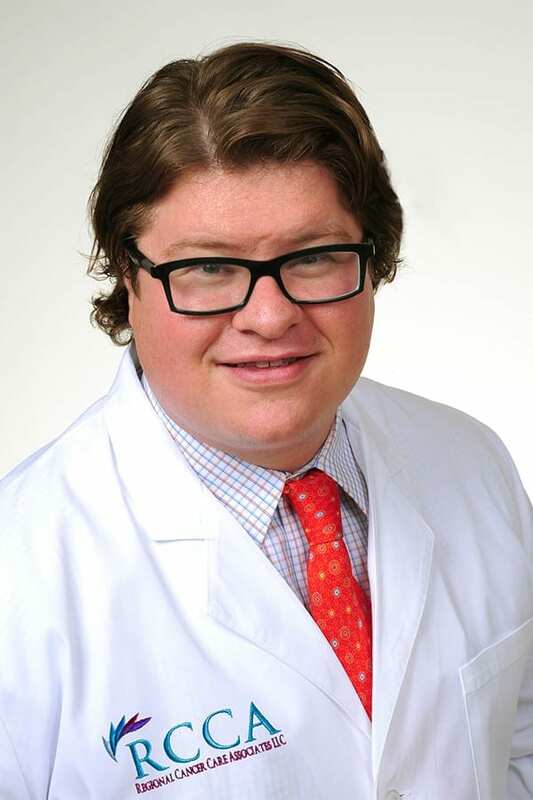 Dr. McCloskey has additionally presented a range of clinical work at major medical conferences, including MedStar Washington Hospital center multi-institutional lymphoma teleconference, Georgetown University Research Day and the Society of Comparative and Integrative Biology. Dr. McCloskey’s research has been published in the Journal of Coagulation Disorders, Advances in Clinical Oncology and Breast Cancer Research and Treatment. Dr. McCloskey has deep roots in the philanthropic community; worked with the Lymphoma Research Foundation since 2011; and has volunteered with Food and Friends, a nonprofit that prepares and delivers meals and groceries to D.C. residents living with HIV/AIDS, cancer and other conditions since 2004. Fellowships: Chief Fellow, Department of Hematology and Oncology, Georgetown University Hospital, 2013-2014. Fellow, Department of Hematology and Oncology, Georgetown University Hospital, 2009-2013. Internship: Georgetown University Hospital, Internal Medicine Intern, 2009-2011. Board Certifications: 2014 board-eligible, Hematology and Oncology. 2011 board-certified, American Board of Internal Medicine. Honors/Awards: Hematology Fellows Consortium Workshop, 2013. AACR/ASCO Methods of Cancer Research Workshop, 2013. Dr. Allen J. Goody Memorial Award for excellence in teaching, peer mentorship and personal integrity, Georgetown University Hospital, 2011. Memberships: American Society of Clinical Oncology, American Association of Cancer Research, Housestaff Quality Council, Chemotherapy Utilization Committee, American Society of Hematology.